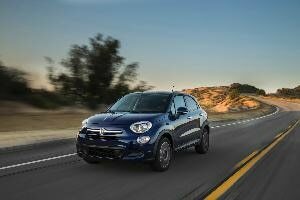 “Safety” can be somewhat subjective in the auto industry, so for our safest crossovers of 2016, we took a careful look at the two most closely watched ratings programs and selected only those entries that earned the highest marks in both: Top Safety Pick+ recognition from the IIHS and a 5-Star Overall Safety Score from NHTSA. 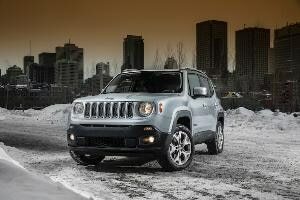 Also, for readability, please pay attention to the following key of popular pro-active safety measures mentioned below: adaptive cruise control, ACC; blind-spot monitor, BSM; lane-departure warning/assistance, LDW/A, forward collision warning, FCW; automatic emergency braking, AEB; and rear cross-traffic alert, RCTA. The 2016 Honda CR-V didn’t get to be the best-selling crossover in the country by accident. 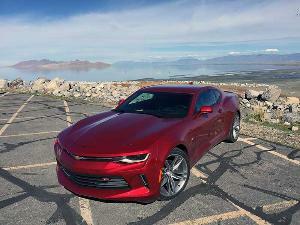 In fact, a big part of its success can be attributed to its ability to reduce the risk of accidents in the first place and—as one of the safest crossover of 2016—provide award-winning occupant-protection capabilities if they do occur. That’s where the Honda Sensing package comes into play, providing FCW, AEB, ACC, LDW, LKW/A and the automaker’s LaneWatch blind-spot system, all of which is matched with a standard rearview camera and SmartVent front side airbags. Honda also provides added protection for those outside the CR-V, thanks to a front-end specifically engineered to absorb energy in the case of pedestrian “contact” (as the brand describes it). As for the exact state of the CR-V’s success, it set an all-time annual sales record in 2015, when it also was named the Motor Trend Sport/Utility of the Year. 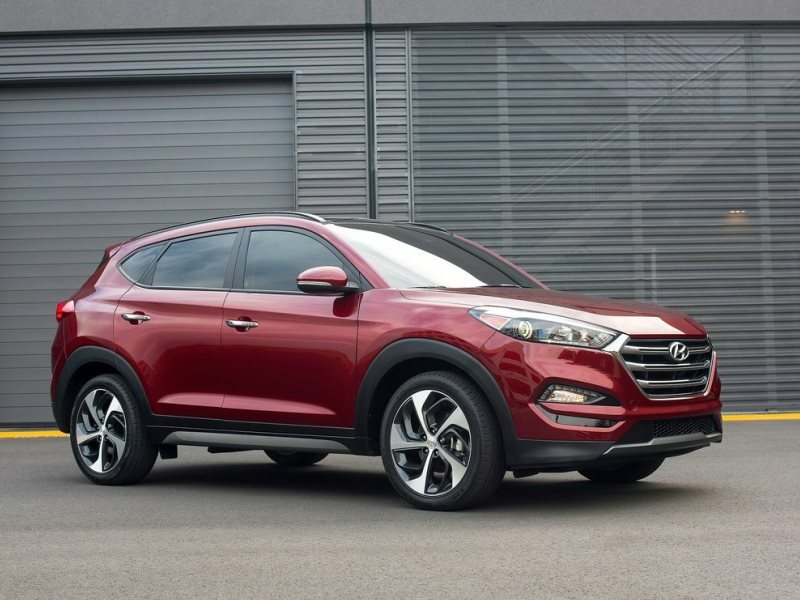 The high-tech 2016 Hyundai Tucson has been completely redesigned for the current selling season, and the changes have transformed a formerly forgotten compact entry into one of the safest crossovers of the year. Consider: Now available for the Tucson are AEB with pedestrian detection, LDW/A, a blind-spot monitor and RCTA, while a standard rearview camera and driver-side blind-spot mirror are onboard as well. 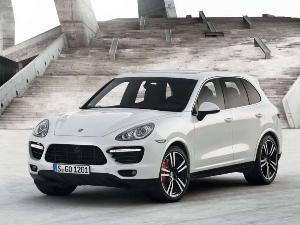 Further, the Tucson’s front-crash prevention technology earned the highest possible “Superior” rating from the IIHS. 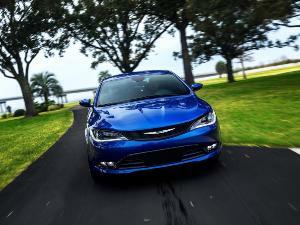 Even the strikingly bold appearance of the vehicle was created with safety in mind. For instance, though the Tucson’s profile is noticeably sportier and more athletic than that of the past generation, designers made sure to reduce the thickness of the A-pillars, and reduce mirror blind spots, for enhanced driver visibility. Customers who remember the previous-gen Tucson as slightly tinier than its rivals also should know the new one has grown appropriately. 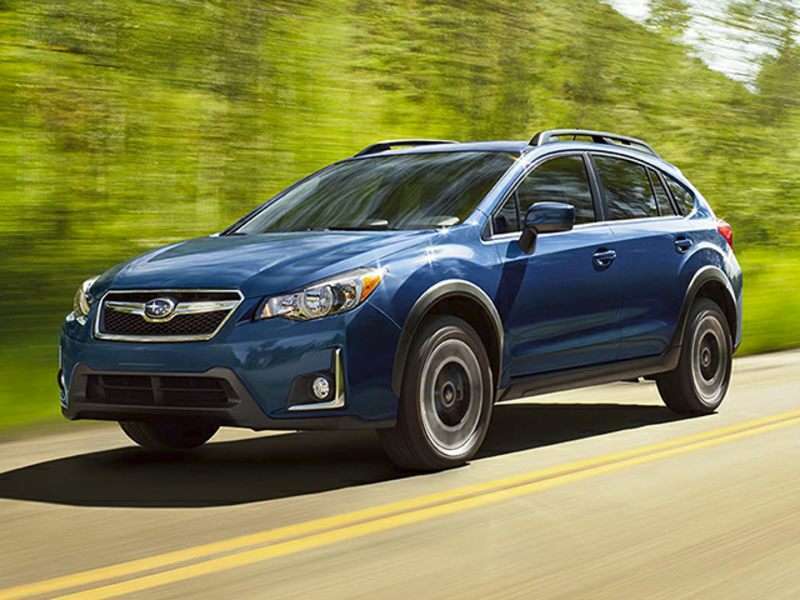 Those fact-checking our list of safest crossovers for 2016 should take note: The IIHS vehicle-classification team has the 2016 Subaru Crosstrek categorized as a “Small car,” although that hasn’t affected the vehicle’s safety results. Indeed, the Crosstrek’s Top Safety Pick+ recognition includes the full “superior” rating for front crash-prevention technology, bolstered by available ACC, FCW, AEB, LDW/A, steering-responsive fog lights and new-for-2016 BSM and RCTA; naturally, a rear-vision system is standard. In addition, the vehicle’s stellar safety ratings do carry over to the Crosstrek Hybrid. That allows owners to benefit from Subaru’s sophisticated safety technologies, and standard symmetrical all-wheel drive, as they achieve EPA grades of 30 mpg city/34 mpg highway/31 mpg combined. Meanwhile, the debut of StarLink telematics for 2016 adds confidence builders likes automatic collision notification, enhanced roadside assistance and access to Subaru’s SOS Emergency Assistance service—along with the brand’s cloud-based infotainment resources. True, some people may quibble over whether the 2016 Subaru Outback qualifies as one of the safest crossovers of the year, but that doesn’t have anything to do with its occupant-protection features. After all, the Outback boasts the best possible IIHS rating for front crash-prevention technology, supported by Subaru’s signature EyeSight system. Already integrating ACC, FCW, AEB and LDW (with sway warning), the setup also welcomes lane-keeping assistance for the 2016 model year. BSM and RCTA are both on the menu as well, as are steering-responsive fog lights, and there are newly available telematics services for added levels of safety and security. 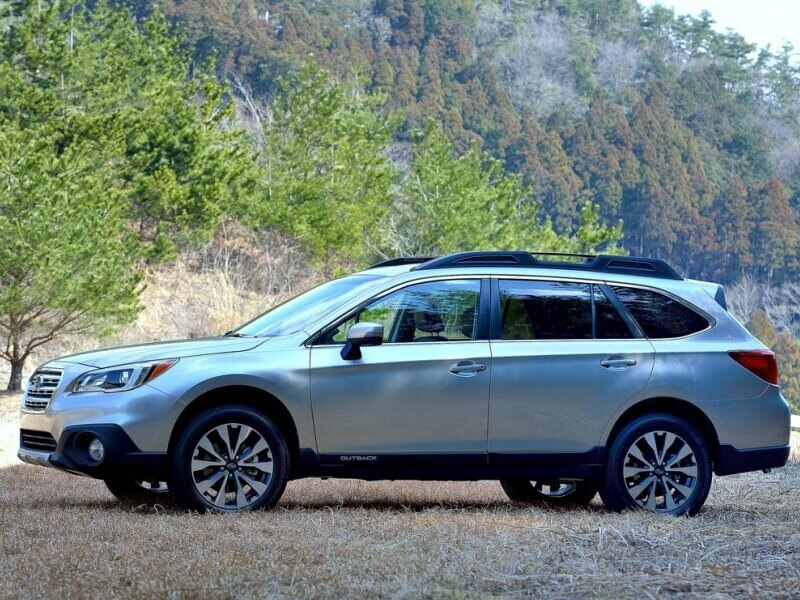 Thus, it’s the Outback’s crossover cred that may come into question, since it continues to show its station-wagon roots in terms of exterior design, with even the brand calling it the world’s first “sport utility wagon.” Yet, with another sales record last year, you also can call the Outback a flat-out success. If you’re looking for a hybrid crossover that also happens to be among the safest crossovers of 2016, your choices are about to double: Soon joining the Subaru Crosstrek Hybrid on the market—but in the larger, compact-crossover segment—will be the 2016 Toyota RAV4 Hybrid. 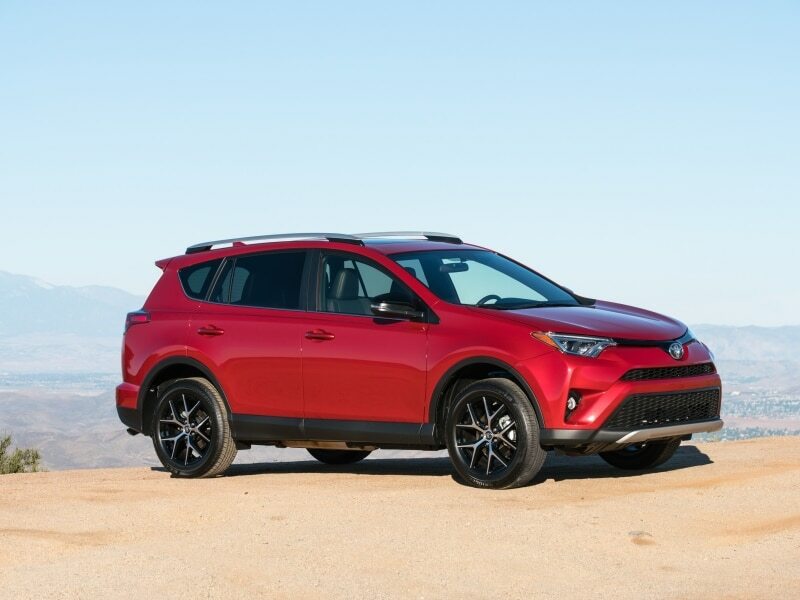 Expected to realize EPA ratings of 34 mpg city/31 mpg highway/33 mpg combined, the RAV4 Hybrid, along with the rest of the RAV4 roster, also moves to the head of the occupant-protection class with a Toyota Safety Sense system. It includes FCW, AEB, LDW, ACC and automatic high beams, then can be further complemented with a BSM, RCTA and the automaker’s cutting-edge Bird’s Eye View Camera with Perimeter Scan. This latter technology leverages four exterior cameras to build a top-down, 360-degree view of the area surrounding the RAV4, but also extends that capability with a real-time, rotating feed for further visibility benefits. There’s a consensus that bigger vehicles are safer vehicles, which stands in direct defiance of the hard data. 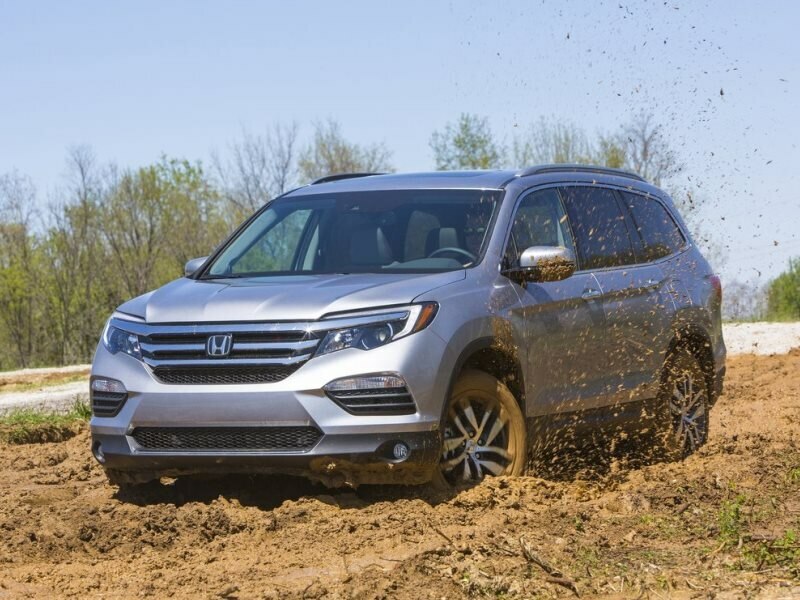 The safest crossovers of 2016 include only one mainstream entry that’s both big enough for three-row seating (one of the general requirements for SUV classification) and scored Top Safety Pick+ honors, and it’s the 2016 Honda Pilot. 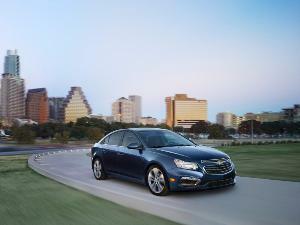 In its recently released, completely redesigned format, the Pilot amps up driver-assistance measures to encompass FCW, LDW/A, BSM, RCTA, and ACC, along with a next-gen iteration of Honda’s automatic emergency braking technology. The new suite of safety tech also includes a road-departure mitigation system that builds on the Pilot’s lane-keeping capability with dedicated protection against drifting off the road surface. A multi-angle camera system is also in the mix, while the Pilot’s airbags deserve some special attention of their own, based on their SmartVent technology for ensuring optimum inflation performance. It’s a clean sweep for Subaru, which, to be clear, earns TPS+ recognition for its entire roster. 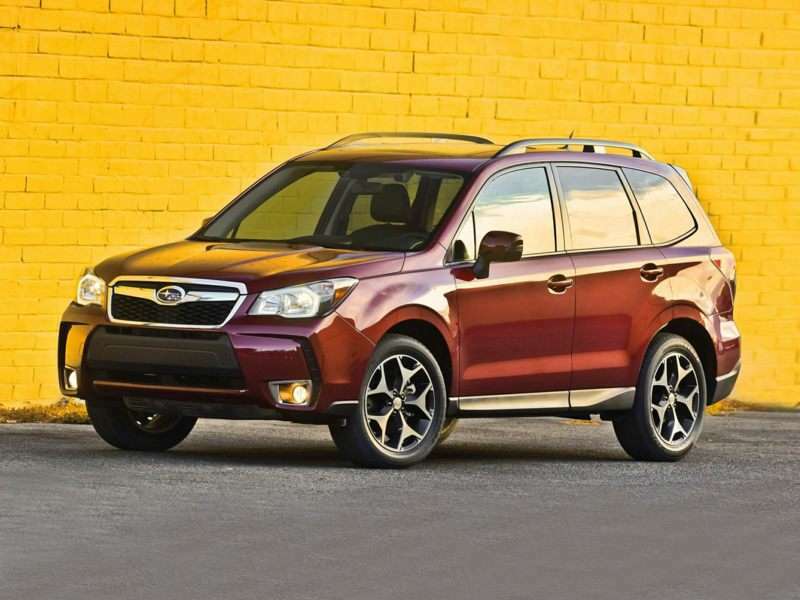 And while the 2016 Subaru Forester is the last mentioned here, it still serves up its share of first-class driver-assistance systems, led by front crash-prevention technology that the IIHS rated as “superior.” Lane-departure/sway warning, ACC and steering-responsive fog lights fill out the Forester’s EyeSight occupant-protection package, yet Subaru still finds room for a standard rearview camera and the same StarLink upgrade that sets apart the Crosstrek and Outback. As a reminder, the StarLink technology furnishes telematics and cloud-based infotainment, ranging from automatic crash notification to smartphone-enabled access to Aha, Pandora, iHeartRadio and a host of other cloud-based services. Finally, it’s worth pointing out that the Forester didn’t just join the Outback and Crosstrek on our list of safest crossovers for 2016, it also joined that duo in breaking its all-time annual sales record in 2015. The Volvo brand has shown signs of reviving in recent years, backed by new ownership and modernized vehicles, yet as the company has evolved, so too has its commitment to safety technology. 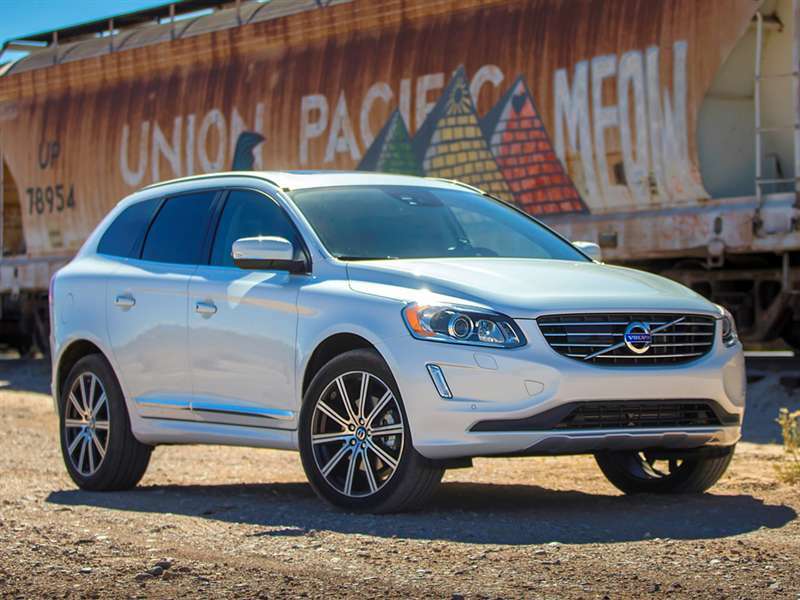 For example, the 2016 Volvo XC60 has all the usual high-tech driver-assistance systems, then goes full Volvo with features like a road-sign information setup and a drowsy-driver alert. The former can “read” and display key traffic info gleaned from passing signs; the latter can detect driving behavior indicative of a sleepy pilot and then deliver a series of warnings so that the driver can take a rest. Moreover, the XC60 showcases some particularly impressive engineering details, from a collapsible steering column to a pedestrian-protecting front-end design. That said, this vivacious compact Volvo may be regarded as one of the safest crossovers of 2016 by the occupant-protection experts, but those drivers who prefer more traditional, SUV-like styling may be happier with the Volvo XC90. The safest crossovers of the year simply don’t get much safer than the 2016 Volvo XC90. It’s the all-new premium flagship for Volvo’s SUV efforts, and its long list of available driver-assistance systems includes, and we quote: “360-degree surround view camera, Adaptive Cruise Control with Pilot Assist, Blind Spot Information System and Cross Traffic Alert, Collision Avoidance by City Safety, includes Pedestrian and Cyclist Detection and Avoidance (day and night), Driver Alert, Front Park Assist, Lane Departure Warning, Lane Keeping Aid, Park Assist Pilot, Road Sign Information, Roll Stability Control, Run-off Road Protection” and a six-month complimentary subscription to Volvo’s OnCall remote-vehicle services. The XC90 is not a one-trick pony, though which explains why it also won the 2016 North American Truck of the Year Award. Certainly helping matters is the fact that the XC90 additionally supplies an ultra-lux three-row cabin that’s distinguished by a 12.3-inch Sensus infotainment screen, with motivation available from a supercharged, turbocharged, plug-in hybrid powertrain. After launching to much fanfare originally, Acura’s current three-row SUV had a relatively quiet year in 2015, and that’s despite enjoying fairly significant revisions. Most relevant for our purposes, the 2016 Acura MDX now can be configured with available safety measures such as ACC, FCW, AEB, BSM, RCTA, a multi-view camera and LDW/A (with road-departure mitigation technology). With the MDX also garnering a “superior” IIHS grade for front crash-prevention technology, the result is a premium package that stands out as one of the safest crossovers of 2016. Be that as it may, owners probably won’t want to leave the MDX just standing around for too long, because its other tweaks for 2016 run to performance-enhancers like a twin-clutch Super Handling All-Wheel Drive system and a nine-speed SportShift automatic transmission—capable of shifting gears 25 percent faster than the MDX’s outgoing six-speed unit.